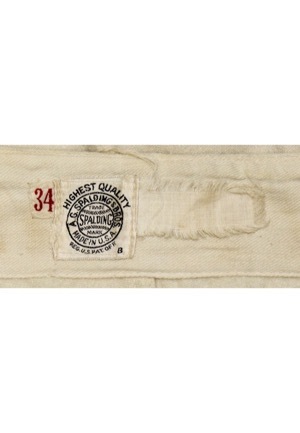 In the rear collar is the Spalding manufacturer’s tag with an attached flag tag reading the size “38”. 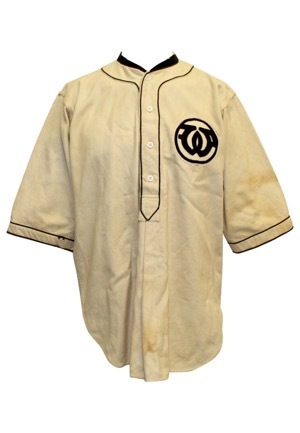 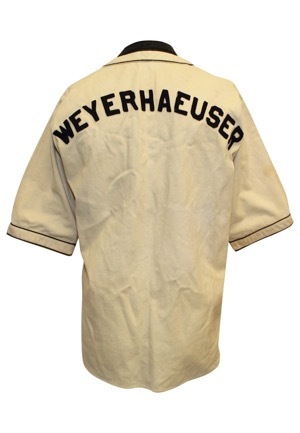 On the left chest is a “W” team logo and across the back reads “WEYERHAEUSER” in black felt. 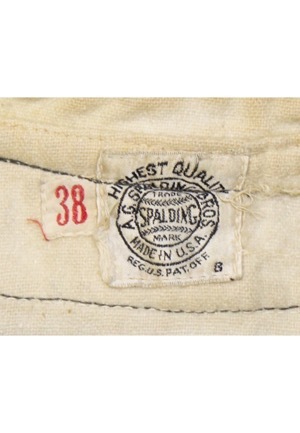 In the rear waistband of the pants is the Spalding manufacturer’s tag with an attached flag tag reading the size “34”. 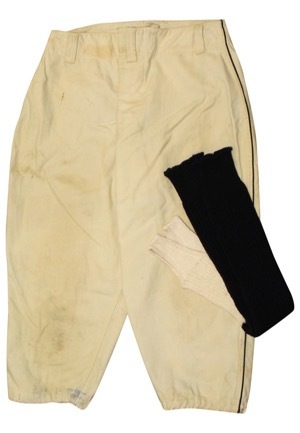 Also included are a pair of black socks.